I am loving The Art of Raising a Puppy by the New Skete Monks from Cambridge, New York. 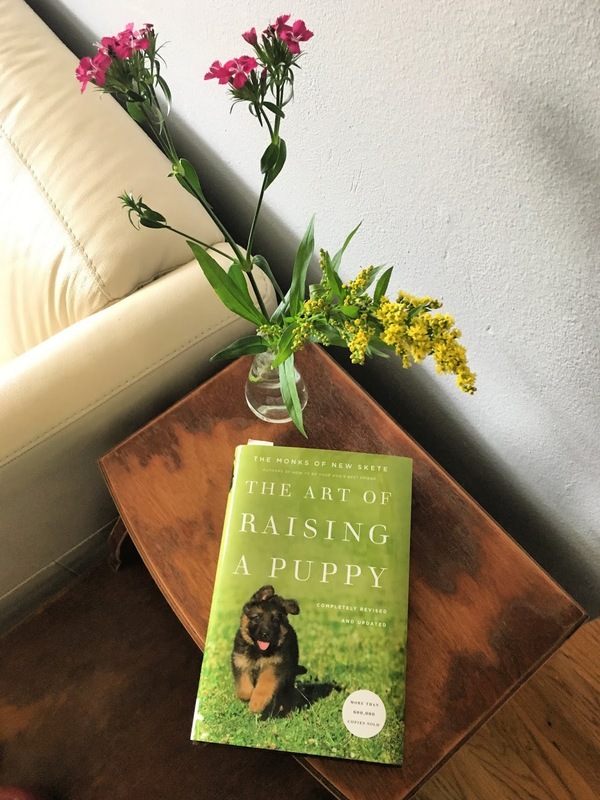 The writing is impeccable, and the writers are so present with the text, disseminating important information on how to raise a puppy. They two other popular books called Let Dogs Be Dogs: Understanding Canine Nature and Mastering the Art of Living with Your Dog and How To Be Your Dog's Best Friend. I highly recommend any of these books if you are thinking about purchasing a dog! Lives devoted to spirituality above all else, you can imagine that their monasteries are the perfect setting for dog training. They see the relationship between humans and dogs as a spiritual one, which is why the age-old expression says "a dog is a man's best friend". Adam and I are taking very seriously our decision to purchase a whippet, and are spending much time reading and gathering knowledge so that we from the day we bring our puppy home, we are on a road to success. We see this decision to buy a whippet as a lifestyle change, one in which we want to make. We want to lead more active lives, and are looking forward to the companionship a dog has the capacity to bring. In The Art of Raising a Puppy, the Monks of New Skete write, " . . . a living, autonomous yet highly social pack-oriented creature who has an amazing capacity for companionship and love. Capacity is precisely that--a natural potential" (5). I see that our whippet will have capacity, too, and I will value that. I am also seeing the capacity within myself, to learn to be around dogs again without anxiety and fear. This will be a journey, for all of us.